Home » News & Blog » Blog » What is ABI or Acquired Brain Injury? Acquire Brain Injury (ABI) is an umbrella term used to categorise a wide range of brain injury conditions that occur after birth. The term covers a huge number of medical conditions and causes that result in a sudden brain injury within the person’s lifetime. The following are examples of possible causes of an ABI but this is by no means an exhaustive list. The consequences of an ABI are complicated, unpredictable and unique to each person. It can depend on what part of the brain is injured, how severe the damage is, and the victim’s own personality before the ABI occurred. Recovery and rehabilitation after an ABI varies widely. Disabilities can be temporary or permanent and can cause cognitive and behavioural changes, in other words changes in the way a person thinks / acts and feels and physical changes, and in many cases a combination of cognitive / behavioural and physical changes can and often does occur. The nature of the brain injury symptoms can also vary over time with improvements in some areas and deterioration in others. Only about a quarter of people suffering from an ABI will show any long-term physical disabilities, which means that ABI usually results in a hidden disability. So, the public and most public services, remain largely ignorant of the complicated and devastating impact an ABI has on a person’s character and social skills. In most cases it is impossible to tell if someone is suffering from a brain injury just by looking at them, but the injury can cause profound changes that alter their behaviour drastically. It is also very important to remember that an ABI will also severely affect the lives of family and friends. Loved-ones will also have to find ways of coping and adjusting to the symptoms of the brain injury, and may need to drastically change their own lives – such as give up work – to care and support the injured person. This year (2015), the brain injury charity Headway compiled the first dataset on all ABI-related hospital admissions in the UK. These include non-superficial head injuries, strokes, brain tumours, encephalitis, and a variety of additional conditions. 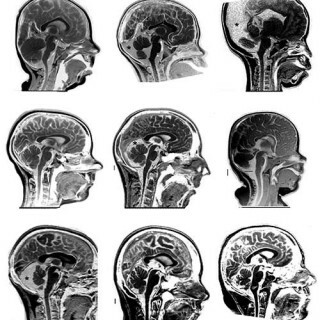 It is the first time a picture of incidence rates for all ABI in the UK has been published, with the figures highlighting a concerning growth in the number of people sustaining injuries to the brain each year. 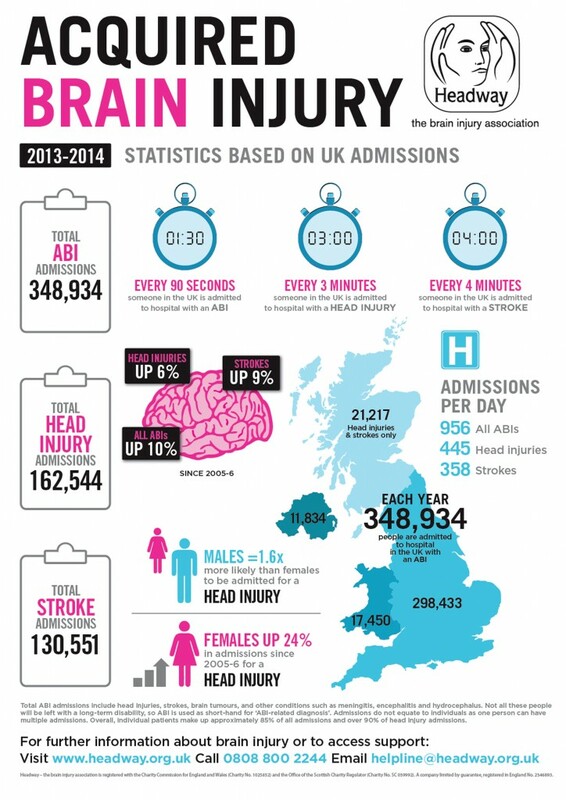 Headway’s brain injury statistics and a lot more information about ABI can be found here. Can I make a medical negligence claim on behalf of my kids?